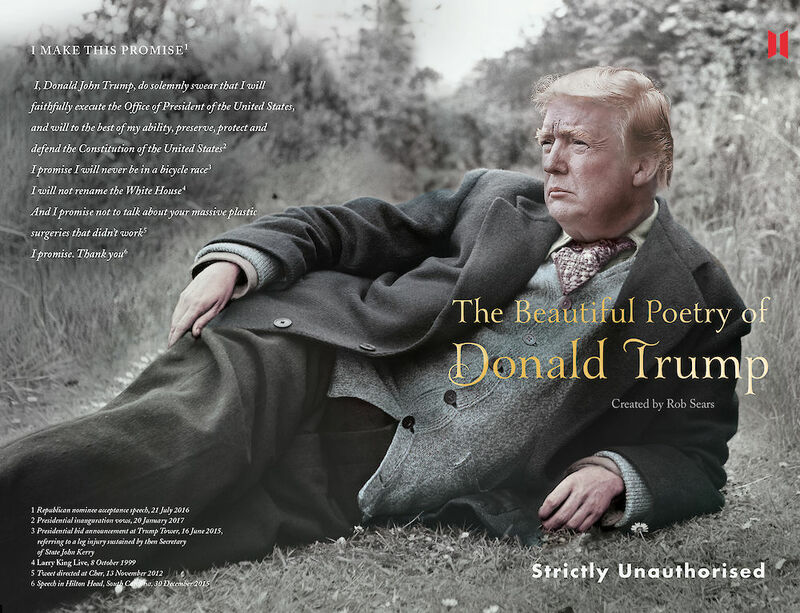 Here’s the cover spread for The Beautiful Poetry of Donald Trump in all its glory, after a photograph of another poetic great: Dylan Thomas. Is Trump’s distinctive poetic voice in such classics as ‘Bad hombres’, ‘My hands are normal hands’ and ‘Look at this baby’ a match for the work of Dylan Thomas? History will tell.